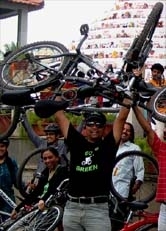 GoGreen June 5th World environmental Day Special Ride - GGI-Group size: 4000+ Professionals, Increasing on day to day basis, Come & join us 2 serve Mother Nature. 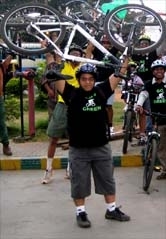 June 5th World environmental Day Special Ride started from 4th Block Jaynagar shopping complex @ 7:00am. Around 40 GGI (GoGreen Initiator’s) along with Mr. Suresh Kumar Minister for Law, Urban Development participated in this event. 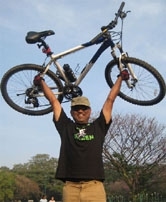 Ride started @ 7:00am covering overall 40km, Starting from Jaynagar 4th Block through Minerva Circle – Town hall – Kempagowda bustand – Malleshwaram Mantri Mall - Sampage Road – Rajaji Nagar & reached Gayathri Devi Park where they planted trees inside the park. Near about 100 more peoples were waiting along with BBMP officials @ Gayathri devi Park. While Mr. GoGreen Rao addressing the gathering stressed on the point saying “ World Environment Day has been year marked not for celebrations but to bring out awareness to each individual’s about the way we are losing the greenery & each one of us to be blamed hence its time to take the initiative of taking small step in protecting the environment & GoGreen Group would standby in helping them to achieving the same. Mr. Suresh Kumar, Minister for Law & MLA of Rajajinagar explained people how GoGreen group’s have chosen Cycles to keep out the pollution which is being one of the main cause for Global warming and also appreciated the group for their efforts. 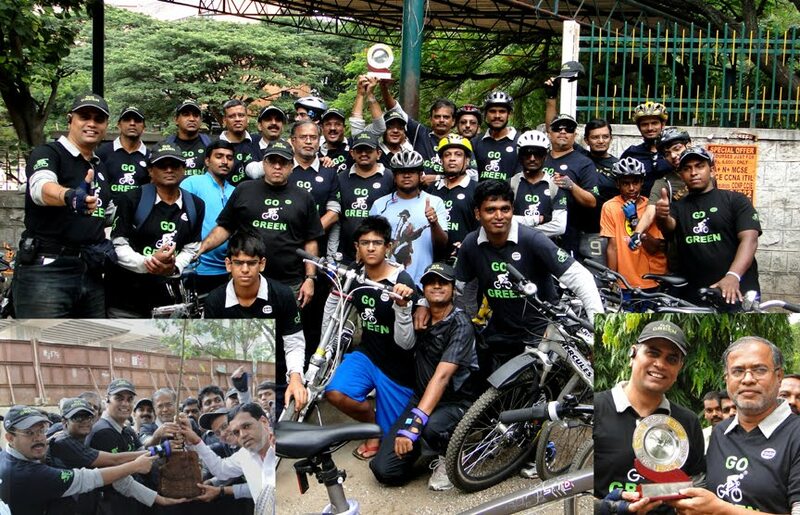 He also presented a memento to GoGreen Rao for taking the initiative of Go Green and successfully organizing GoGreen Campaign Rides.